Synthesis of Sulfur-Containing Heterocycles through Oxidative Carbon–Hydrogen Bond Functionalization Cui, Y.; Floreancig, P. E. Org. Lett. ASAP March 15, 2012. It’s been far too long since my last post but I feel its just that time of year. I’ve noticed that posts have slowed at other blogs I follow as well (and around this time last year my posts were down). March and April seem to be very busy for chemists. For me, the lack of free time can be attributed to a number of factors. Since I’m a TA I’ve been seeing a lot more students because of mid-term preparation. Next, I plan on attending two conferences (one of which I’ve mentioned, the CGSS in Buffalo, the other being the ACS meeting in Philly in August) which required abstracts. Lastly, we are coming to a close on a couple of projects meaning we need to prepare supporting information, tighten up manuscripts, and start sending stuff out. Plus, our walk-on 300 MHz NMR went down for all of this past week and the week before. If one NMR goes down, it really becomes a headache with only two to bear the load of both the chemistry department and the school of pharmacy. Add to the mix that I have not encountered any really grabbing papers lately and you can see why posts are down. So what’s been going on in the Leadbeater lab since my last post? Well, as I mentioned, I sent my abstract in for the ACS meeting in Philly. I will be presenting (if I get accepted) on the work we’ve done with Professor Tilley (which I will also do at the CGSS). We finished writing the last two labs for the organic lab course. We are having them do a hydrogenation and a LiAlD4 reduction of ethyl cinnamate to show them not only that you can do reductions selectively but to give them exposure to working with gases as well as working with deuterated compounds. In other news, since projects have been winding down, I’ve been trying to come up with some more (mostly ones related to oxoammonium salt chemistry) and I’ve had some luck so far and I think I might be close to something good…maybe :). We hope to have our collaborative work with Dr. Tilley done by June and hence much of my focus (and Mike’s) has been on that. Our most recently flow paper has been accepted to OPRD pending revisions, so I spent a little time working on those as well recently. Now that you know pretty much my whole life for the past few weeks 😛 let’s get to the lit.! The concept is based on oxocarbenium trapping of a carbocation, preventing rearrangement and allowing control over its reactivity. Building on this methodology, Floreancig speculated that the same could be done with a thiocarbenium ion. However, this was not a totally unexplored field. Thiocarbenium ions are popular intermediates such as in Pummer rearrangements, and cyliczations exploiting this ion have been investigated. However, they always had this pesky habit of ending with the sulfur outside the ring rather than a part of it. In more technical terms, the exo product predominates rather than the endo product. The endo product, however, would be far more useful as a way to access sulfur-containing heterocycles. Since a thia-prins reaction is virtually unknown (very few examples), the Floreancig group decided to explore the possibility of extending their existing cyclization conditions for the preparation of thiopyrans. They immediately hit success with the thio-analog to their oxygen substrates. It cyclized in stereocontrolled fashion giving the endo product. However, they hit a minor snag. The product was liable to further oxidation and hence underwent a dehydrogenation to give a dihydrothiopyranone instead of a tetrahydropyranone. While the over-oxidation product was formed in a mere 4% yield, it proved bothersome, Additionally, the fact that the yields of the cyclized product were only moderate (around 50-60%) lead them to decided to explore different systems for cyclization, namely vinyl sulfides instead of allylic sulfides. The reason for the switch was simple: mechanistic studies performed by their lab indicated that vinyl and allyl sulfides both oxidize to give the same thiocarbenium ion, but the vinyl species oxidizes significantly faster. By using these new systems, their reaction times were shortened to 5 minutes and saw improved yield with excellent diastereoselectivity. 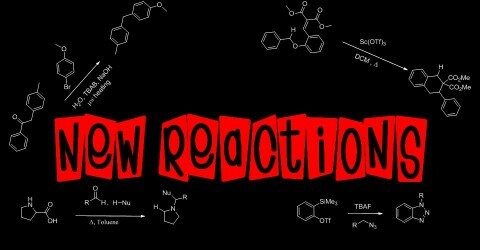 Best of all, the reaction proceeded without the formation of the unwanted over-oxidation product. With that success, they then explored different means of conducting their cyclization. While they initially started with an acetate-protected enol, they quickly expanded to enol carbamates because of the ease in which their geometry can be controlled (regiochemistry wise too). They then explored what I think is the most interesting part of the paper: allyl silanes as internal nucleophiles (cause I love silicon and carbocations 🙂 ). They found that silicon serve as a excellent surrogate for the enol acetate and vinyl carbamates but found some interesting peculiarities. First, (Z)-allyl silanes gave a far lower diastereoselectivity their (E) counterparts. Moreover, the geometry of the intermediate thiocarbenium ion also plays an important role! They speculated that there were a few transition states that would lead to their diastereomeric mixture. However, while they could explain why (E)-allyl silanes gave a better degree diastereocontrol, they could give no conclusive explanation why the geometry of the intermediate thiocarbenium played a huge role. Iron or Palladium: You Decide A Treat!